FWO doctoral fellowship (2013-2017), 'Exploring the role of non-coding variation in hereditary blindness: Stargardt disease as a model'. The capuchin monkey lives in a group. He is very intelligent and tries to solve problems by thinking. He likes to be busy with something, especially because he likes to make something beautiful. 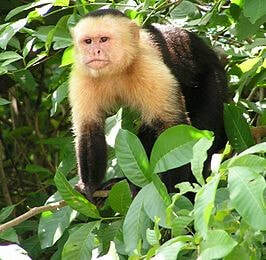 The capuchin monkey is quickly mature and has few enemies.